Join Katie Weber for Her ALL NEW! We all want to improve our lives, right? Whether it’s more money, more love, better health, we just want….more. And we want it to be good. What if things are already great? Who says it can’t be better still. 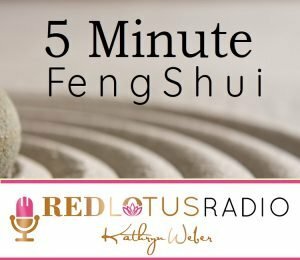 Katie Weber has been publishing the Red Lotus Letter Feng Shui e-Zine for over 17 years, and now she’s bringing all her tips and easy to implement ideas to a brand new podcast. Listeners will hear about ways to improve their love lives, their finances, including bringing in more money to their lives, and how to create a life and lifestyle they love. You’ll love her fun and active style! From her fresh approach and unique story ideas, each podcast will feature new ways to create the kind of life you’ve dreamed, simply by moving energy. Katie always says, “if you can move energy, you can make money.” Or attract love. Improve your health. Get a promotion, a new job or make more money in your business. Each podcast is just long enough to listen on the way to run errands, wait for your kids at soccer practice, or just enjoy with a cup of coffee in the morning, and at the end of each episode, you’ll get 3 tips that will usually only take you 5 minutes to complete. How easy is that? If you’ve been wanting a change in your life, to become unstuck and feel like your moving forward again, Enter 5 Minute Feng Shui. Go here now to subscribe or to listen in iTunes. In this episode, I talk about how I first started using feng shui and become addicted to all the improvements in made in my life — from selling a house, to finding a new job, and building more wealth. Includes 3 important tips that you can use to invite good chi and wealth to your home and life. What is it really — and what does wind and water really mean? I’ll explain what feng shui really is — a study of time and why you can have a great year one year and the next falls apart on you. Learn how energy, flow and balance in your home can create blockages in your life. Plus, you’ll get 3 tips to unblock and unstick energy that’s stopping opportunities (and money) from flowing to you. If you think there’s only one wealth corner in feng shui, think again. There are actually five wealth corners! You’ll learn which one is the most important one (and one most feng shui experts never talk about). You’ll also hear 3 tips to put into practice right away to help bring more money into your life, protect the breadwinner and accumulate more money. Could you be making these mistakes in your bedroom? Find out the one thing many bedrooms have — and that kills romance. Practical tips for making your bedroom the perfect place for romance! This episode covers how clutter affects your life, including relationships, opportunities and your money. You’ll also learn what clutter isn’t — and how to determine what to keep and what to get rid of — and how it’s holding you back and keeping you stuck. If you are in a financial bind or need money quickly, this episode is for you. You’ll learn how to generate more money and start accumulating it — not just watching it go out the door. Learn good feng shui money habits that will help build your bank account. Single too long? Learn these tips to help you attract new love to your life. Whether you’re looking for the right man or woman, a gay or straight relationship, this episode covers the important corners of your home that must be activated to attract Mr. or Ms. Right to your life — and it’s not just the romance corner. Learn why you need both the romance and heaven corners of your home activated to manifest love. One of the fun ways to use feng shui is to select a purse and wallet color to help you create more prosperity. There are a variety of colors that offer you a boost in income and opportunity, such as a new job or a promotion. If you simply want the color of success – and all the material rewards – that go with it, then there’s a color for that. Just like handbags, the same is true for wallets, although one color in particular is an especially helpful energizer for money. Don’t let your handbag, purse and wallet suffer from a lack of energy (and money). Give it a shot of success with the colors that will attract money and help you manifest more of everything in your life. Which door color is luckiest in feng shui? Red or black? The front door plays a very special role in feng shui. Often described as the “mouth of chi,” the front door, is the entryway for energy, wealth, and opportunity into your home. Learn the key points, including the colors of prosperity, for your front door. There are relationships with people who are the energy vampires, people who are stuck in their negative energy and only derive joy out of bringing others into their well of pity, self-loathing, complaining, or drama. Here are 6 tips to protect and refresh your personal energy with feng shui. Working with clients, companies, homeowners and readers for as long as I have, there are a number of questions that I’m asked about working with clients and their feng shui. These are some of the most common questions that I’ve been asked over the years. White is a power that protects and brings opportunity, helpful people and is empowering. It’s especially helpful for overcoming or transitioning through difficulties like illness, divorce or for standing out in your career when you’re lacking recognition. It’s a helpful color that will make you excel and is a great color to wear year round. Think your mind has no control over your money? 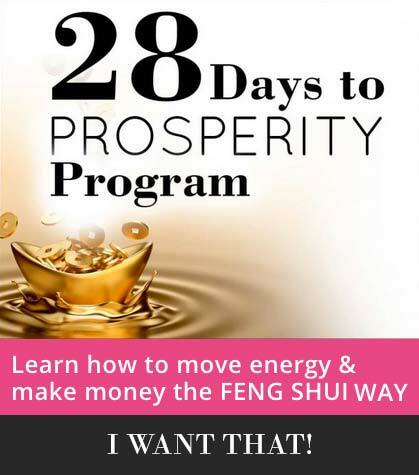 Learn key principles about how what you think and your personal feng shui affect your ability to create more wealth and prosperity in your life. Besides being beautiful, conch shells are also considered one of the eight precious objects in Buddhism. In feng shui, conch shells have a variety of meanings as well. This is a very versatile feng shui activator that can be used in so many ways to bring auspicious energy to your life. Here are six important ways to use these beautiful shells. Learn how to improve your feng shui to create more recognition and fame energy. 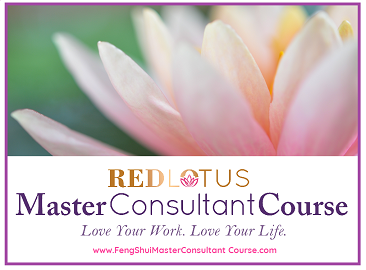 Feng shui your home, bedroom and office to help you gain status, success and recognition. The Year of the Pig is bringing with it a delightful surprise – prosperity. That’s because the wealth star is moving in as the reigning star for the year. With a delightful pair of the prosperity star and the pig, often symbolized as a bank, are coming together in 2019 to bring us opportunity, prosperity, and good fortune. Use these tips on how to prepare your home for the New Year that includes decluttering, cleaning and restocking your home for an auspicious start to the New Year! Tips for creating a new year for yourself and meeting your goals and changing your life. How your home and feng shui can be causing you to gain weight and what to do about it. Setting and reaching goals is a great way to create milestones in your life. It feels good to achieve something you’ve worked for and focused on. Not everyone is a supermodel or looks like Chris Hemsworth in the film, Thor. Yet, we all, in our own ways, can look our very best. Here are ways you can look and feel your best – and attract love, wealth and open doors in your life by lifting your personal chi. Tips to refresh the chi of your home at the start of the New Year. Learn how to cleanse your feng shui cures and symbols. Numbers are an integral part of feng shui. Find out how to use your date of birth, personal feng shui numbers, and other numbers that are lucky in your day to day living. Find out how to select your personal style using feng shui and your kua number for selecting lucky colors and styles based on your gender and date of birth. Stuck and feeling like life is passing you by? The wood element brings growth, helps you get unstuck, and is the element of new beginnings. A clean house is more than just a luxury – it is a necessity. That’s right, a necessity. We need a clean house as much as a clean office or desk, because of all it offers us: efficiency and relaxation. Efficiency, because a clean house means you can find what you need when you need it. It also means that you will spend less time worrying and frustrated over the mess in your house and this allows you to relax and recharge. Some houses have features and qualities that make the house so attractive that it almost sells itself. The problem with many homes is that they contain too much stuff. And this makes it difficult to sell your home easily. Additionally, there are several feng shui tips that can help your house more appealing to prospective buyers. If you’re willing to invest just a couple of weeks, or weekends, you can get a grip on clutter within your home and enhance your home’s curb appeal. And sell your home faster!